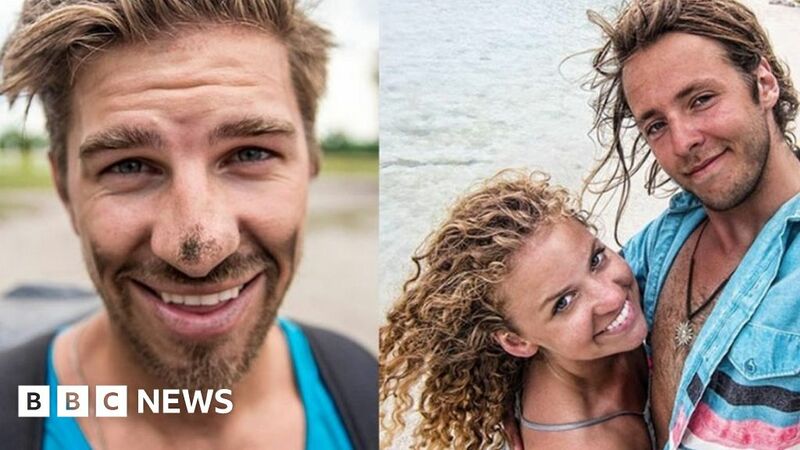 Three members of a YouTube travel blogging collective have died after falling over a waterfall in Canada. Ryker Gamble, Alexey Lyakh and Megan Scraper were part of High On Life, who post videos of their travel adventures. Police said the trio were swimming at the top of Shannon Falls in British Columbia on Tuesday when they “slipped and fell into a pool 30m (98ft) below”. Other members of the group, who have 1.1 million followers on Instagram and more than 500,000 YouTube subscribers, named the three on their memorial fund page and in a tribute video. Vancouver-based Gamble and Lyakh formed High On Life with high school friend Parker Heuser after they travelled the world in 2012. They decided to turn travel and video production into a full-time job and often promoted brands and destinations in the pictures and videos they posted from exotic locations. In one of his last Instagram posts, Gamble, 30, spoke about the things we can all learn from “our younger selves”. Last year, Gamble, Lyakh and another group member, Justis Price Brown, were banned from US federal land for five years after pleading guilty to walking on a sensitive hot spring in Yellowstone National Park and other crimes at parks across the western US. In a statement released on Wednesday, Royal Canadian Mounted Police said they had received a call about three people swimming in one of the pools at the top of Shannon Falls, about 36 miles (58km) north of Vancouver. “The individuals were with a group of friends when they slipped and fell into a pool 30 metres below,” they said. They added that teams had “worked throughout the day to complete the complex recovery of all three people from Shannon Falls” and that the file had been given to the coroner’s office.